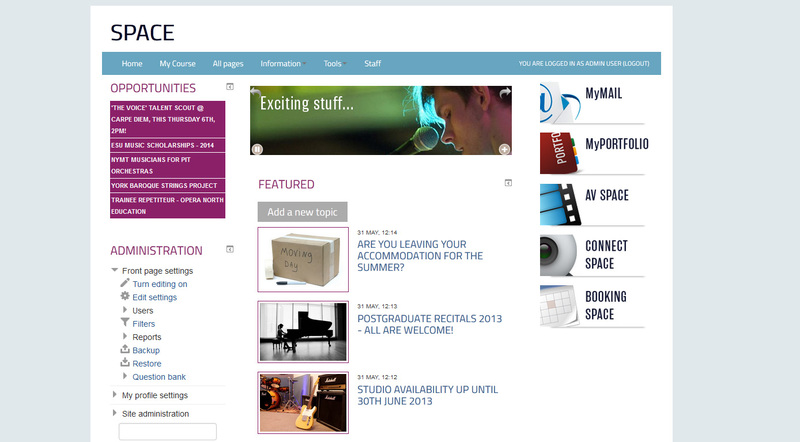 My new theme for Leeds College of Music is now entering the final stages of design. It has altered slightly from the last time I blogged about the development. It’s now cleaner and more functional. The design is very similar to the new look adopted by Microsoft (it wasn’t intentional but it simply led to that through the use of simple shapes and white space). It’s still the same Bootstrap theme but more emphasis on functionality. And it’s Moodle 2.5 ready. Roll on August when it’s deployed. Hopefully it won’t have changed again.